I like to dream big. Maybe you do too. 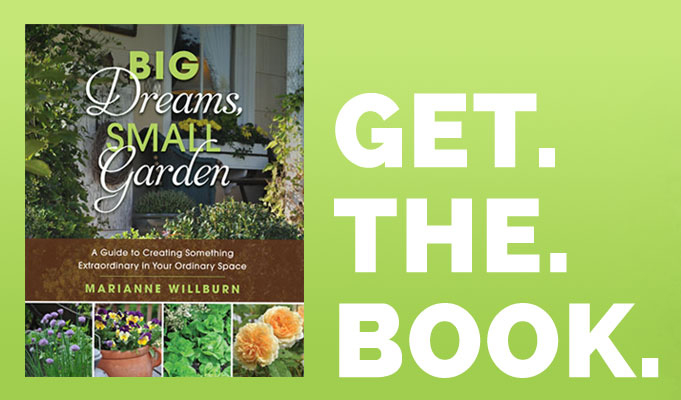 But I’m also a realist with a clear idea of my garden’s current maintenance needs, the hours I have available to satisfy those needs – and not least of all – how a hot, humid summer can start to blur my desire to act upon any of it. All this to say that I won’t be digging out a space for the preformed pond liner I bought for a song and dance last fall; and instead it will remain, upside down and home to enterprising black snakes until the next spring gets away from me. 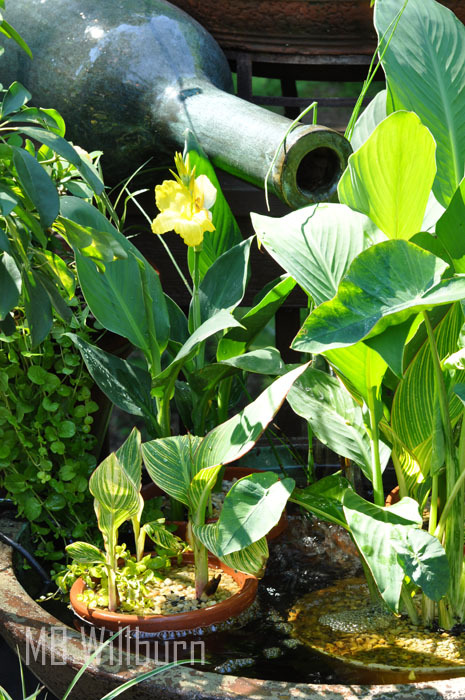 Grouping water plants in a container is a terrific way of adding new textures and colors to the garden. But thanks to a few well-chosen containers, some smaller aquatic plants and a cheap water pump, I don’t have to give up on a water feature this year. 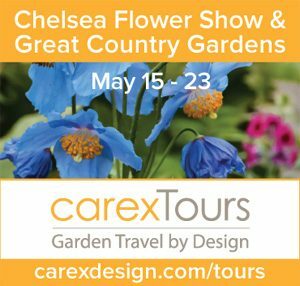 Small is the new Big, dontcha know, but even gardeners with big gardens can benefit from a container water feature that gives them all the benefits of a water garden – sounds, sights, wildlife – without the larger maintenance headaches that come with a significantly sized pond. My container water features come in many sizes and shapes. I’ve had 12-inch flat bottomed bowls acting as simple centerpieces on patio tables. But I’ve also had a three-foot ceramic basin fed by an oversized wine bottle on a 24-hour pump. The creation is the fun part – let your imagination run wild. But what do all these creations have in common? Dragonflies and butterflies. Frogs and splashing birds. Perhaps not least of all, LOTS of interest from guests. Water creates ambience, and when you add a container water feature to a grouping of other containerized plants, you go from ‘pretty’ to ‘pretty cool’ pretty quickly. Let’s be truthful. Air conditioning is a tempting mistress and gardeners have a hard time keeping their guests outside in high summer. Yet string up a few lights, populate the deck with lush foliage plants and add the sound of running water, and suddenly those guests are hijacking your Bluetooth speakers with their late-night Spotify mixes. Water is a destination. The simplest way to get started with a container water feature is to have a static one. 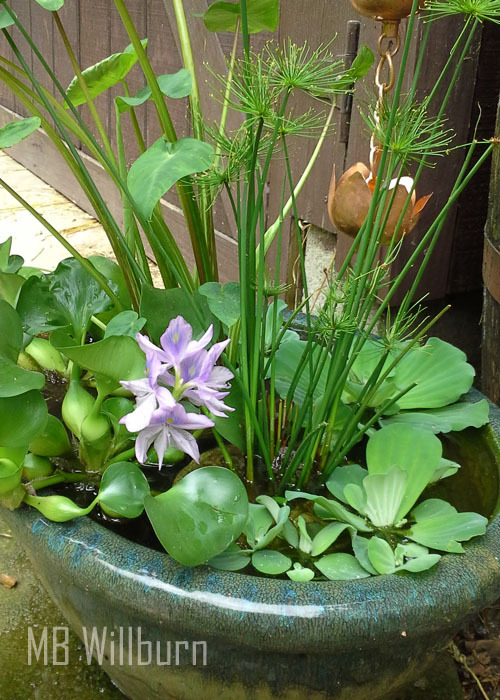 Simply find an attractive bowl or pot without drainage holes, fill it with water, then add a few basic low maintenance aquatic plants that don’t require much else, such as a tropical water lily or water lettuce (Pistia stratiotes). Water lilies actually prefer this environment as they resent water being splashed on their leaves from a fountain or spray. Tropical water lilies bloom more than their hardy counterparts and are sometimes preferable when a short season is at stake. 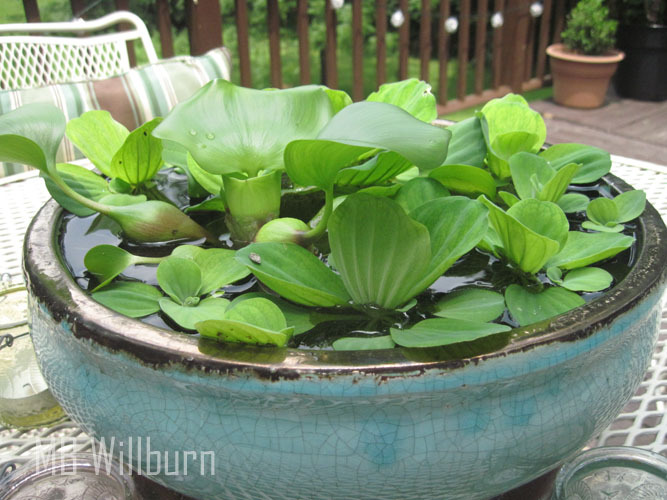 If you have a large, interesting bowl, consider using it with basic floating plants such as this water lettuce and water hyacinth to create a living centerpiece outside. While these water gardens are great for decks and patios, they are equally stunning (and unusual) near the front of a garden bed, where surrounding plants can soften their edges. Just don’t forget to keep them topped up. 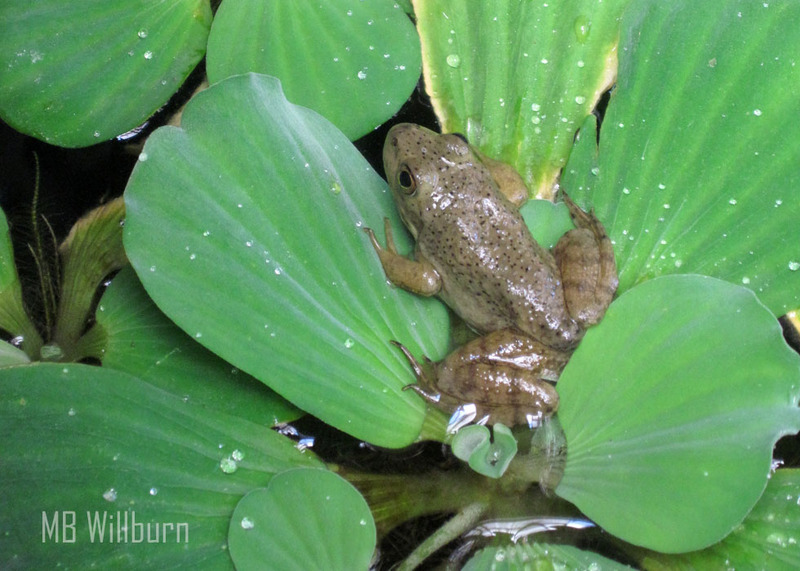 Still water features will require mosquito control – but it doesn’t have to be a goldfish. Mosquito dunks can be purchased at any home and garden center and will not harm your plants or your pets. Their active ingredient, Bacillus thuringiensis (or BT), is lethal to mosquito larvae. Your water feature may attract mosquitos to lay their eggs, but their hatching offspring will not last long. It’s the best kind of bait and switch. 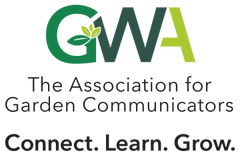 Adding a pump to your container ups the game, but it doesn’t need to be too beefy – you merely need to size it to the rise you desire based upon its GPH rating (Gallons Per Hour). With a small pump and a basin, anything can become a fountain – bringing the sound of running water to a quiet deck or patio. For instance, if you’re trying to hook up a four-foot rain chain to dump into a large basin, you won’t be able to get away with an 80-GPH model, but if you’re willing to cut that chain in half you’ll have a much better chance. I have both 170- and 300-GPH pumps, and that tends to satisfy current levels of creativity around here. Most pumps come with adjustable flow control, but if you’re having to keep it on its lowest setting and add another in-line valve, you’re stressing the pump – better to buy a smaller one. Once you’ve got a pump, you’ll need some flexible tubing, and ½ inch is an average connection size for a container-sized pump. Flexible tubing is flexible for a reason. Whether you’re trying to create a fountain out of a piece of bamboo, or that oversized bottle I mentioned earlier, it will need to bend without kinking. Once you’ve figured out how simple it is to thread it through something you wish to fountain-ize and then how easy it is to hook it up to the pump, you’ll wonder why you haven’t been making container water gardens all your life. Pumps get dirty, so at least once every month make sure to take them out of the water (please unplug them first), and brush or spray away the buildup around the intake screen. Some pumps come apart relatively easily and you can clean them better that way. In recent years, a trend has emerged towards large urns or pots that bubble their contents away into a hidden reservoir below. You can buy a kit to make this an easy installation, or put it together on your own, but you’ll need to start with a good looking container. With enough gravel and stone at your disposal, any container will do, but recognize that to be visually effective in a garden setting, size really does matter. What happens at the end of the season? 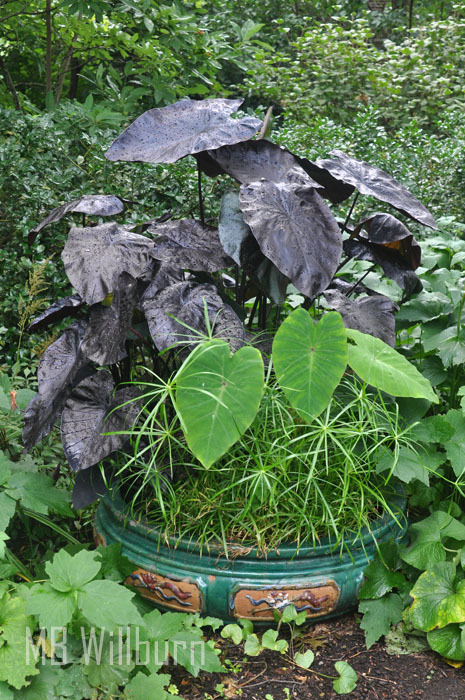 Container water features don’t need a pump, just some colorful aquatic plants and some type of mosquito control, such as a Mosquito Dunk. We live in the Mid-Atlantic. I’m sorry if you’re just coming to terms with this. If your heart is three sizes too big (never been a problem here) and you’d like to set a container above ground or on the deck or patio, bear in mind that it will need to be drained at the end of the season, just like your water barrels. Or, (gasp), treating them like annuals and letting them go. Your callousness will vary based on a) the naiveté of your friends and b) the plant and price. For instance, I’ve suffered the winter with a high-end ‘Baby Tut’ papyrus in my bedroom, but would never do the same for a piece of water hyacinth which is cheap and multiplies quickly (*Eichhornia crassipes*). Meanwhile, canna and colocasia are banished to the garage with promises of nothing more than a plastic bag and temperatures above freezing. Hardy water lilies and many other aquatic plants will go dormant by the end of the season and you can overwinter them in that garage too, but they will need to remain slightly moist. If you can get your tropical water lilies to achieve dormancy (harder than it sounds), you may be able to limp them through the winter too. It’s easy to forget to top up your containers or make sure they haven’t become mosquito breeding grounds. Write yourself notes or get in the habit of visiting your water gardens daily – after all, that’s sort of the point. Attracting wildlife is one of the best reasons to consider creating your own containerized water feature. You’ll find that aquatic plants don’t all behave the same way. Depth matters. Some canna will do better when submerged than others. Water lilies resent the splashing created by a fountain, whereas a colocasia will relish the shower. 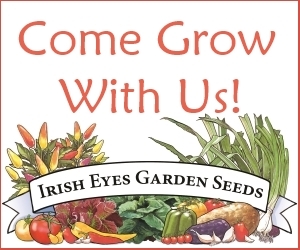 As with all gardening endeavors – research the plants you wish to grow but don’t be afraid to experiment. Above all else, take time to enjoy them. As days grow hotter, you’ll find that the sight and sound of water in your garden or on your deck may be all you need to cool down. I sort of laughed at the three small fountains that my colleague put in his front, side and back gardens, but the sound works marvelously for muffling the sound of the nearby Santa Monica Freeway. Zayante Creek flows through my garden, so a fountain would have been rather silly. I have a creek running through my property too Tony – but I find that the the more intimate sound of water splashing on the deck or on the patio is extremely relaxing and enjoyable. When I would go to my Pa’s home on weekends and such, the sound of the ocean would keep me up. It was such a nice comfortable home, but I did not like to close the windows at night. My friends liked it. Wonderful memory. I miss the ocean.